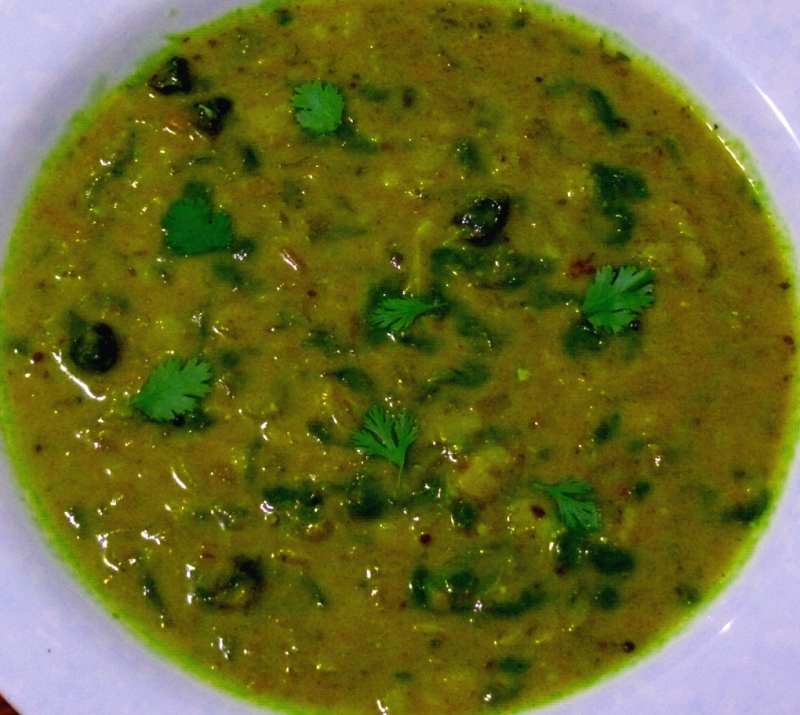 Drumsticks leaves are said to be rich in iron,easily available in Indian households and tasty too.You can do this dhal curry as an alternative to Palak dhal curry which every one knows. So i selected this dhal curry recipe. Steam cook the Toor dhal with 2 cups water,3 garlic cloves,1 tsp cumin seeds, chopped coriander leaves-1 tsp and salt for 10 mins ,upto 6 whistle in a pressure pan and keep it aside. Heat oil in a kadai , saute mustard seeds,cumin seeds,chopped onions,curry leaves for a min. Add chopped tomatoes and saute till it melts. Add the cooked toor dhal after 5 mins.Mix well. Turn off the heat after 3 mins. Pour the coconut oil on top. Serve it hot with Rice,Rasam,Idli,Dosa and Chapathis.Enjoy this Tasty Dhall curry.